EV maker reveals new info in quarterly filing. 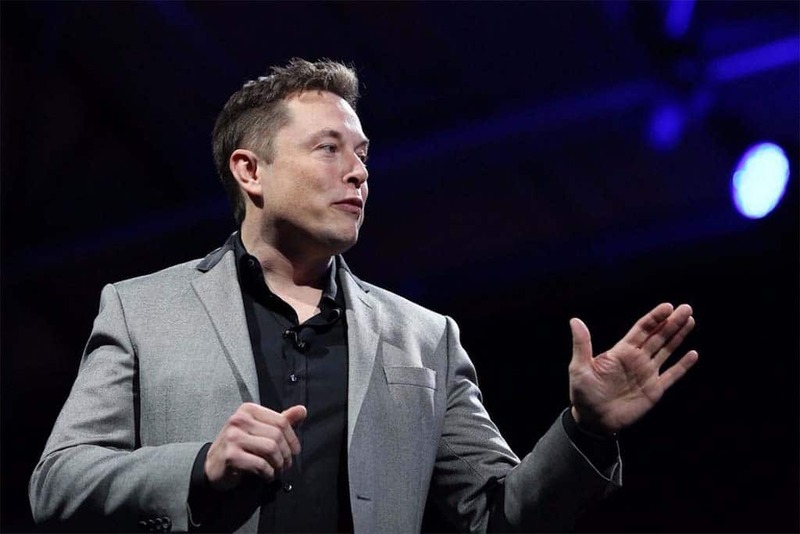 Tesla CEO Elon Musk's was subpoenaed by the SEC related to the plans to take Tesla private. Just days after telling the world they had not been served with any subpoenas regarding its predictions or discussions about production of the Model 3, Tesla Inc. officials said they’ve been served with three of them. That was Oct. 26, but in its quarterly filing with the SEC dated Nov. 2, things had changed. In the filing, the company said it was served with three subpoenas by the Securities and Exchange Commission. The company notes that no government supervisory or law enforcement agencies have found them guilty of anything. Tesla's Model 3 production has been the focus of the company much of the year, and its paid off with profits. They also provide an update on the SEC’s query into Musk’s aborted plan to take the company private, saying “… there have not been any developments in these matters that we deem to be material, and to our knowledge no government agency in any ongoing investigation has concluded that any wrongdoing occurred. The Federal Bureau of Investigation is examining whether Tesla incorrectly stated information about production of its Model 3 sedans, misleading investors in the process, as far back as early 2017, the Wall Street Journal reported. FBI agents have been interviewing former Tesla employees, in some cases using subpoenas to compel them to submit to interviews. 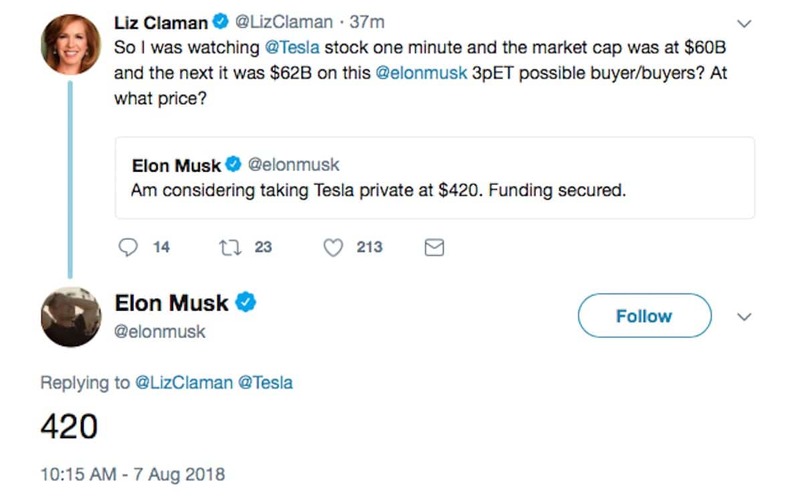 Biz reporter Liz Claman pushed Musk for answers about taking the company private. Tesla revealed last month the DoJ was investigating Musk’s tweets about having “funding secured” for a deal to take Tesla private, saying the agency had asked for documents about such statements. 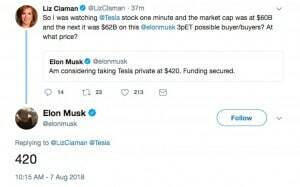 It was ultimately determined that Musk did not actually have a plan in place but had only cursory discussions about the possibility with potential investors. The SEC fined Tesla $20 million for the claim and fined Musk $20 million and ordered him to remove himself as Chairman of the company for three years. He was ordered to do so within 45 days of the decision. He has less than 30 days to get that accomplished and has been unwilling to discuss publicly how that process is going. The growing FBI probe comes on the heels of Musk happily reporting the company turning a profit for the third quarter, largely due to the Model 3. The company produced more than 56,000 Model 3 sedans during Q3. This entry was posted on Friday, November 2nd, 2018 at and is filed under Automakers, Automobiles, Business, EVs, Electrified Vehicles, Executives, Lawsuits/Legal, Markets, Personalities, Politicians, Sales, Sales, Sedans, Technology, Tesla, U.S./North America. You can follow any responses to this entry through the RSS 2.0 feed. Both comments and pings are currently closed. Lotus Goes Electric – But Can That Spark Brand’s Revival?